Sinn Féin MEP Liadh Ní Riada has called for the ending of all EU funding to Israel. 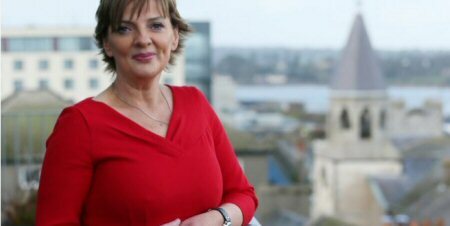 The Ireland South MEP made the call as she tabled an amendment designed to close the loophole allowing Israel to use EU funds for military purposes. “Israel must be completely excluded from receiving any funding for research and development,” she said. “Every penny that they have received under the research and development scheme, which they have egregiously abused, makes the EU complicit in each and every murder Israel has carried out since 2000. “That’s over 10,000 Palestinians. More than 2,000 of them children. “The EU’s Horizon 2020 is the biggest research and development program in the world, with €80 billion dedicated to it since 2014”. “Israel is allowed to take part in the program on the basis of the EU-Israel association agreement, signed in 2000. An outrageous agreement that we warned two decades would only give legitimacy to Israel’s campaign of genocide. “We have been proved depressingly right. In that time, in addition to their usual litany of human rights abuses, they have launched no less than five major assaults and invasions on Palestinian territory, started a war in Lebanon and hijacked an international peace flotilla carrying humanitarian aid, massacring those on board. “EU treaties do not allow any spending on military or defense to be charged to the EU budget. However, the European Commission has been continuously undermining this clear rule for many years now through a blatant loophole made for ‘dual-purpose’ technologies. “Dual-purpose technology, is any technology that can also be used for military purposes. This allows Israeli arms manufacturers and military companies to apply for EU funding. “It has been well documented that Israel systematically uses dual-purpose technology for military purposes once it is through the research and development stage. “Today, I tabled an amendment that calls for the EU to stop funding dual-purpose technology under this program. This would immediately stop taxpayer’s money from subsidizing the Israeli arms industry, and by extension, wholesale murder, under the guise of civilian innovation.